It was a race until the end, but yes, I am wearing my skirt today at work. I was furiously hand sewing the hem last night at 1am, but I am proud to present to you this picture of me in Burda 11-2009-120. Here’s my pattern review a la PatternReview.com. Pattern Description: Burda’s text: Together again — Getting back together must be celebrated, and that requires the right outfit! Our flared, knee-length tweed skirt with double-layered, inverted box pleat in front is chic and just the thing. Pattern Sizing: Burda sizes 38-46; I muslined it at 38 and it was too small. The 40 was just right and what I ended up making. I guess I’m a 40 in Burda. I would like to be a 38, but I don’t think that’s gonna happen anytime soon, unfortunately. Another reviewer had mentioned that she thought this skirt ran large which is why I tried the 38 first, but that was not my experience. Did it look like the photo/drawing on the pattern envelope once you were done sewing with it? Yes! I am so pleased! 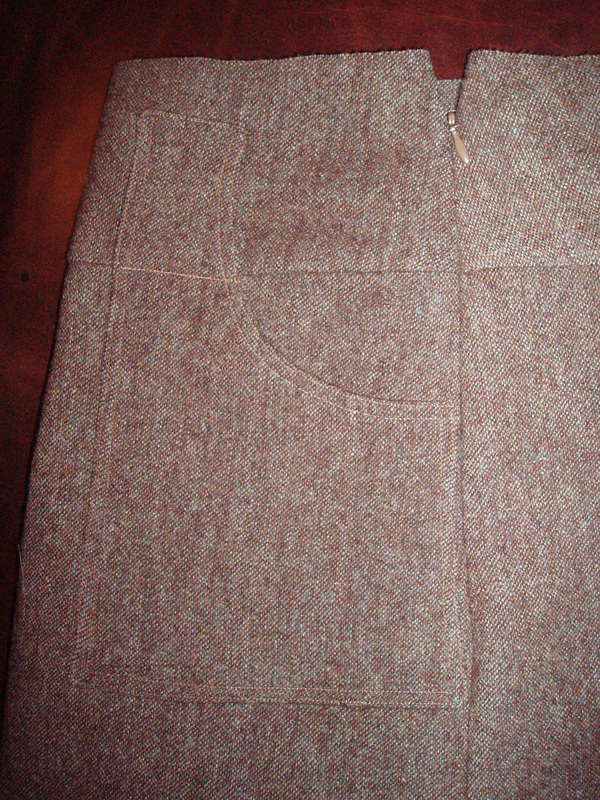 I even used a tweed, just like the model. Were the instructions easy to follow? They’re getting easier for me and not bad for Burda (even though I am severely disabled in the reading directions dept). I would recommend some changes regarding order of construction though (detailed below). Burda does leave off most finishing details, so, as a beginner, you might not get a great looking and finished looking garment if you used their directions alone. What did you particularly like or dislike about the pattern? I LOVE (dare I say I am obsessed now?) with the pleats. That is my favorite feature of this skirt. LOVE. THEM. I also liked that even though there is a lot of detail interest in this pattern, there’s actually very few pattern pieces and it’s really very simple to put together, if time consuming. 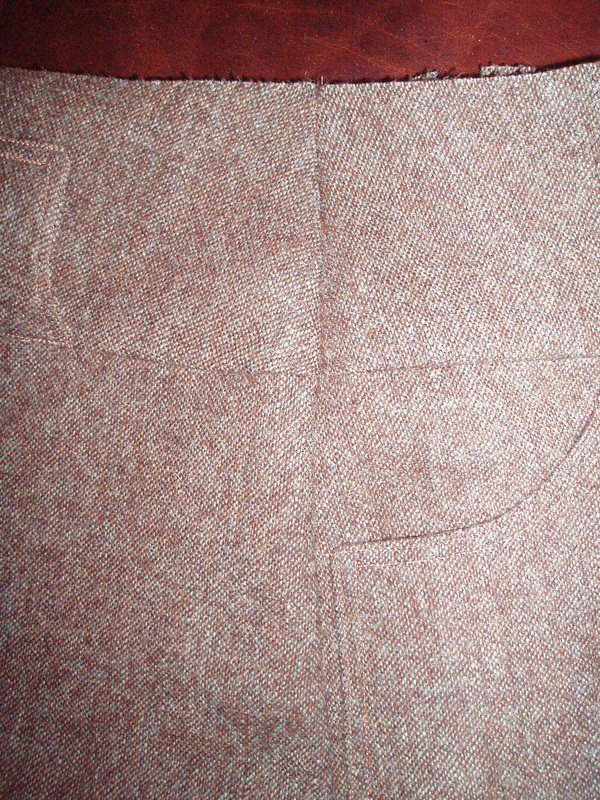 Fabric Used: A gorgeous brown wool tweed from Gorgeous Fabrics. I am in love with this fabric. It takes a press so well and it’s actually pretty stable with little to no fraying. I was pleasantly surprised on both counts. I added belt carriers to the back of the skirt using the top portion of the pocket pattern piece as my model to echo the pockets/carriers on the front of the skirt. I decided not to topstitch the yoke of the skirt as it would have been troublesome to do with all four belt carriers getting in the way. It would have looked messy IMHO. 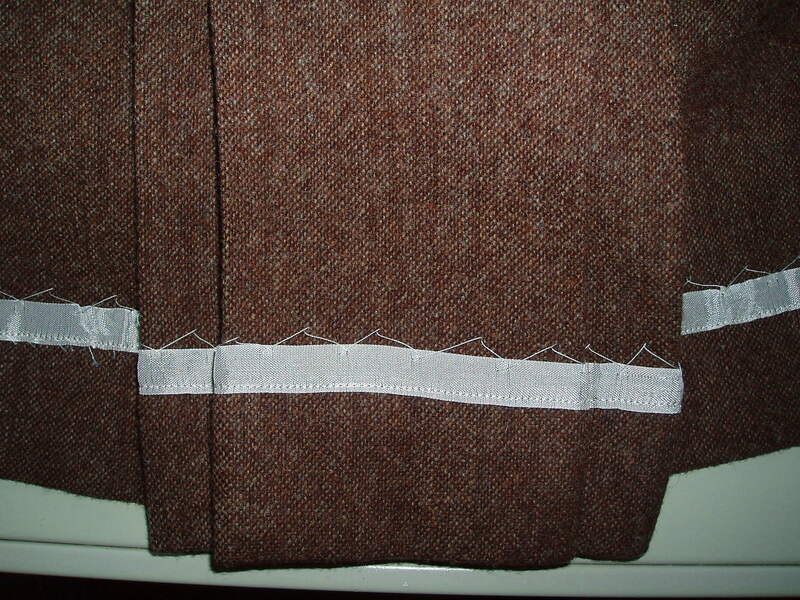 I changed the order of construction to sew the pockets on the skirt in the flat as another reviewer had suggested. It’s so much easier than trying to sew them on over the hip curve once the side seams are sewn. Also, make sure you follow Burda’s instructions on how to top stitch the pocket exactly in order to retain the functionality of the belt carriers. Another reviewer found the lining pattern piece (the front piece minus the pleats) was too small. I did not find this to be the case for me. 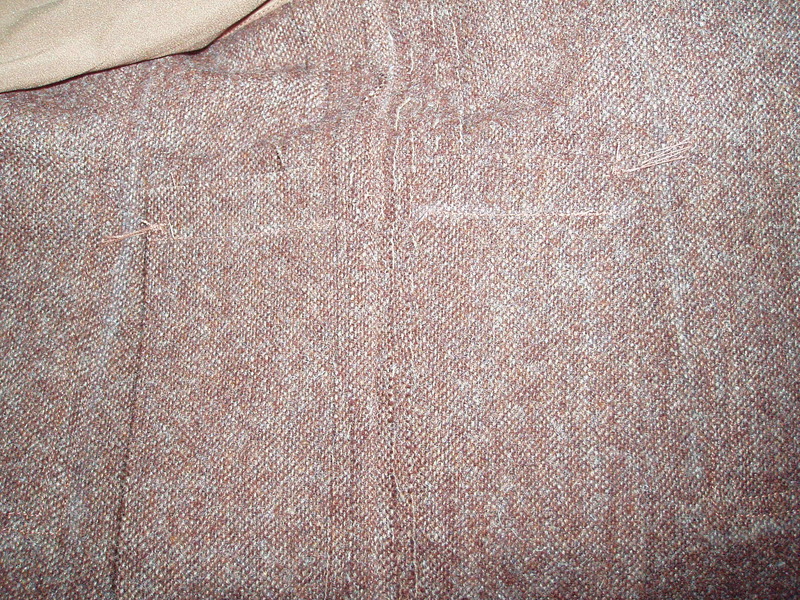 Thread tracing helps greatly with the pocket placement on the front of the skirt. I highly recommend transferring the pattern markings to the front of the skirt using this method. It pays to be exacting in your pleat placements. The pleats are what makes this skirt special, so they need to be perfect. It’s especially important to be exact on the top part of both pleats because as you wear the skirt, they tend to pull apart. I thought I was careful, but if I make this again, I will have to pay extra attention to this area. Would you sew it again? Would you recommend it to others? I definitely recommend this pattern, even to beginners if they have great sewing reference books or access to a teacher. This skirt is a timeless staple for any kind of wardrobe. I probably won’t sew it again in tweed, but maybe another one in a suiting fabric would be nice, like a black gabardine. It took me three attempts to insert the invisible zipper. It wasn’t matching up placement wise on both sides of the seam. I finally remember that I needed to mark on the zipper on both sides where the yoke/skirt seam was to get a good placement. 3rd try was the charm thankfully! 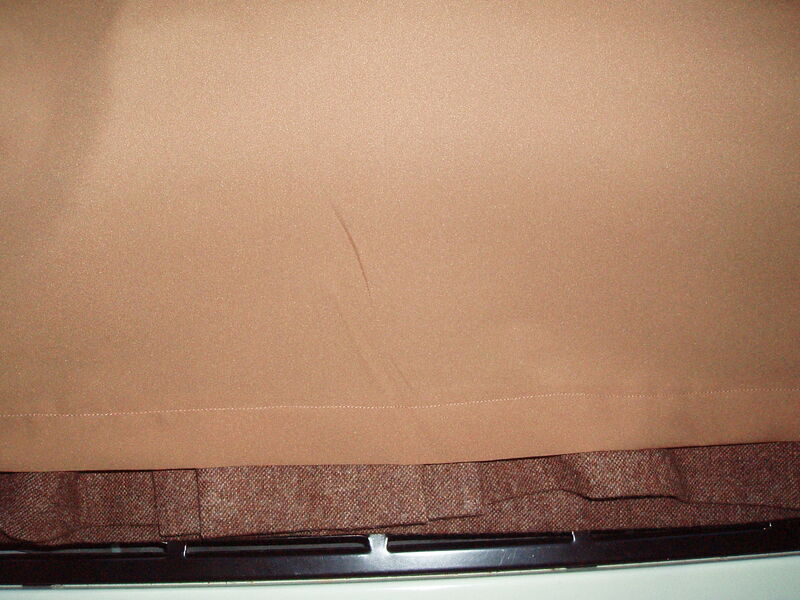 When attaching the lining to the skirt, I pinned the front lining onto the back skirt. Doh! Luckily I figured that out before I actually took it to the sewing machine. Unfortunately, my luck ran out there as the next thing I proceeded to do was sew up both sides of the lining forgetting to keep one side open for the invisible zipper. ARGH! So after I unpicked the side seam and pinned the lining to the skirt I then realized I had unpicked the wrong side of the skirt. Double ARGH!!! So, back to unpicking I went. 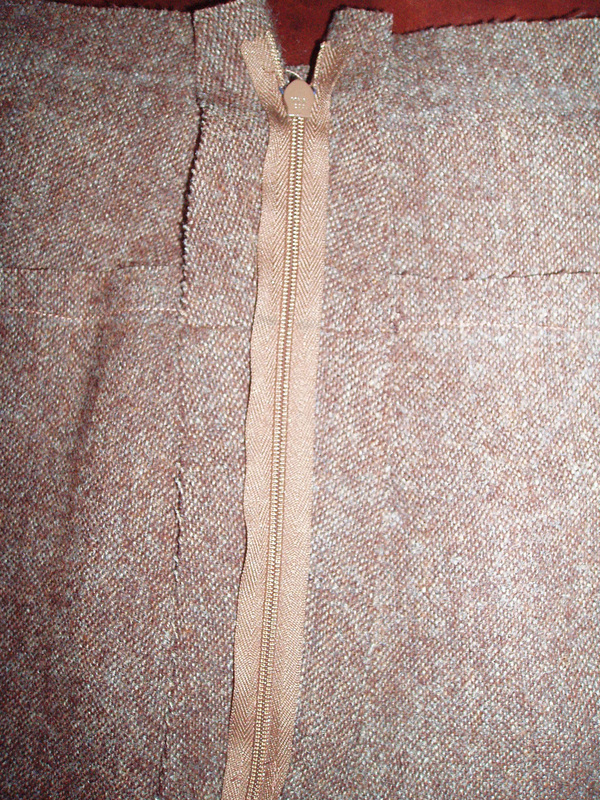 Finally an hour later, I get the lining inserted and hand sewed the lining to the zipper. Phew! My hand sewing is not very professional looking. I need to slow down this part of the process as well as just practicing it more so I get better at the different techniques. although my hand sewn lining to the zipper tape is one part of which I am pretty proud. I need a little more patience when sewing. I think my finishing could have been a little better had I not self-imposed a deadline. Conclusion: Fabulous skirt. Easy to make, pleats, tweedy loveliness…. What’s not to love? I love it and highly recommend it to everyone. I am pretty pleased with my skirt. I don’t think it looks handmade from afar. If you were to examine it up close you might see some wobbly stitching, some lining peeking through on the back belt carriers, but the pleats are too die for, if I do say so myself. What’s up next? I think a pencil skirt and learning how to match plaids or plaid like prints. 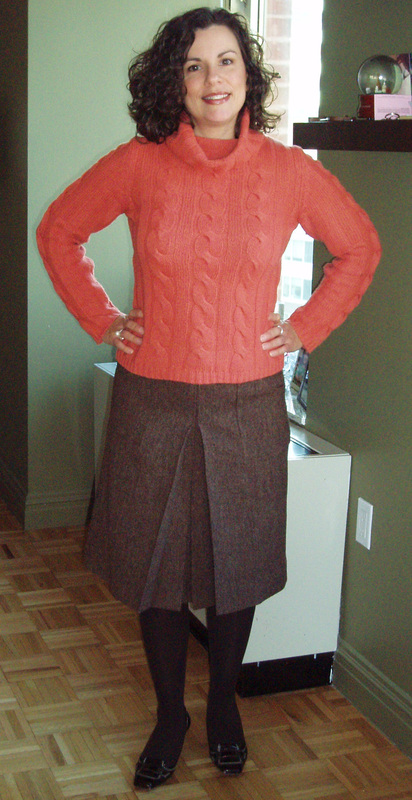 This entry was posted in Beginner, Burda, Pattern Review, Sewing, Skirts. Bookmark the permalink. That is a great looking skirt. I love the pleat also. I made one similar to it years ago and it recently came to mine. You did a super job. Since I saw the fabric and all of your pieces whilst they were still in their raw state…can I tell you that I’m so proud of the skirt you made! And I also like that you are setting goals, progressing in your sewing and not getting discouraged. Give you a little more time and most of what will be in your wardrobe will be made by you!!! Okay–you need to change your blog name! You are definitely not a beginner!! I love the skirt. Nice details! your skirt looks great – I totally love the whole look ! What a good idea about those pleat tacks – the last Burda pattern I made with pleats had you sew them down in a straight line but I didn’t like the look on the front – that’s a great invisible solution. You’ve done a fabulous job with your skirt. It looks great on you and you have furthered your sewing experience! I didn’t notice the double pleats when I saw this in the magazine. It’s looking good here. That skirt is gorgeous, I am seriously in love with it… And two years ago it would have fit but I have magically grown to a size 18 pattern size, so you are safe. 🙂 I read your posts about size wanted and size fitting and I’m right there with you, but wanted to add that you look gorgeous in that outfit and you are proportionately beautiful!